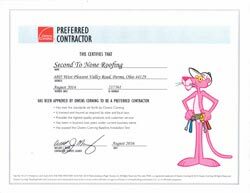 At Second To None Roofing, we offer the highest quality roofing materials and state of the art installation techniques in order to give you, the customer, a great job at a low price. 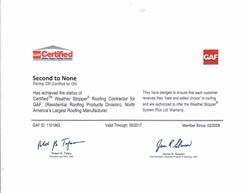 We have a variety of limited lifetime warranty shingles available from manufacturers such as GAF and Owens Corning, offering many popular colors and styles. 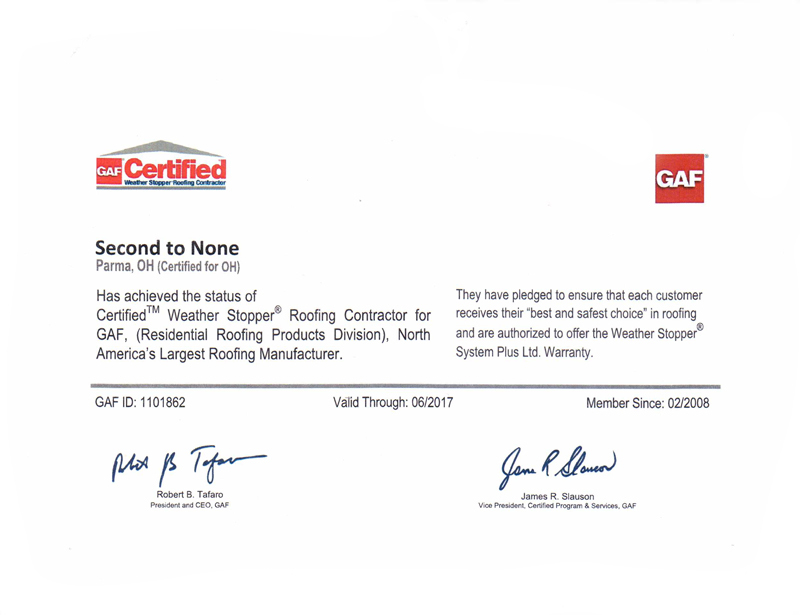 Our customer may choose from GAF Timberline or Timberline Ultra High Definition shingles, both featuring patented high definition color blends and enhanced shadow effect. 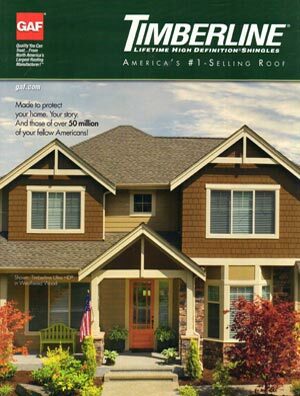 The Timberline Ultra High Definition shingles will cost you a just a fraction more than the standard high definition Timberline. They are the heaviest, thickest and longest lasting in the Timberline series. 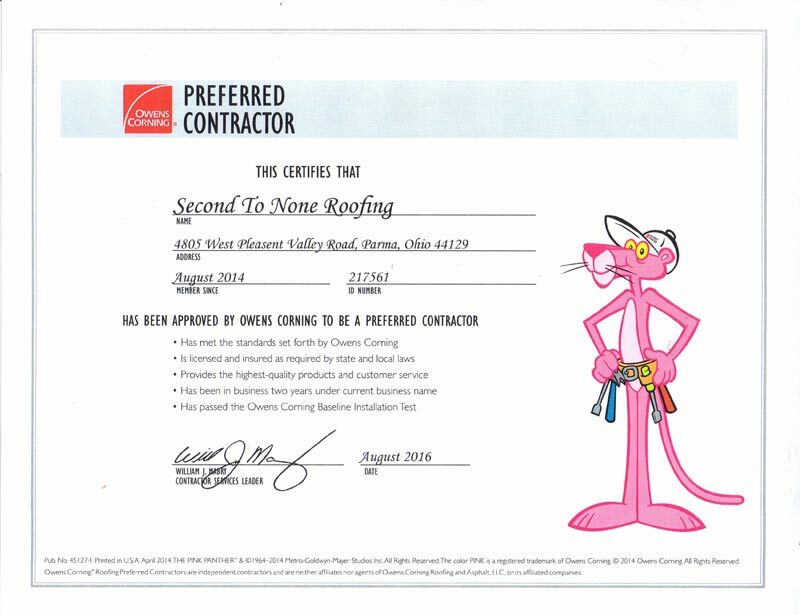 Owens Corning offers the TruDefinition Duraton, providing you with an exclusive combination of color and depth or the TruDefinition Oakridge, featuring a bold contrast and deep dimensional look. 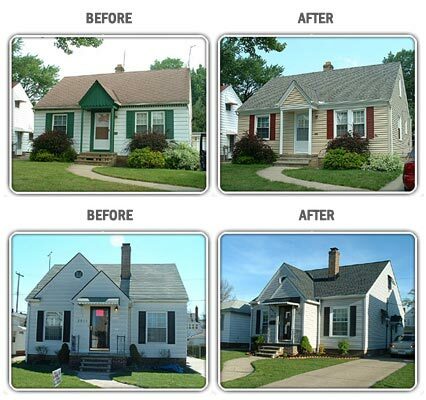 All provide a beautiful step up from traditional three-tab shingles. 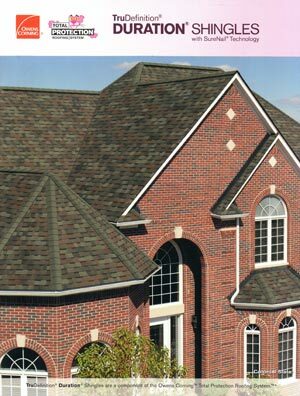 Any shingles you choose will assure many years of dimensional appearance and impressive durability, adding value and beauty to your home.